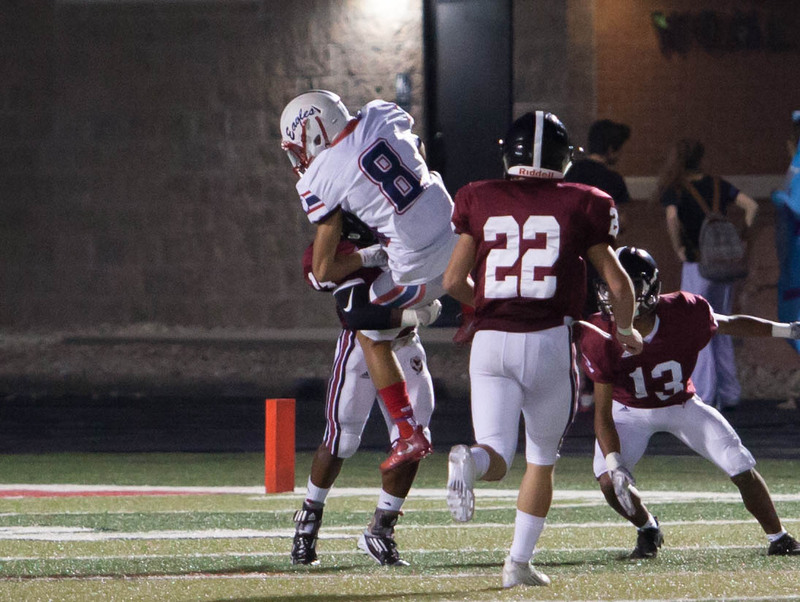 Lawrence High senior linebacker Ja'Relle Dye (14) lifts up Olathe North receiver Malcolm McKibben during a tackle in Friday's game at LHS. 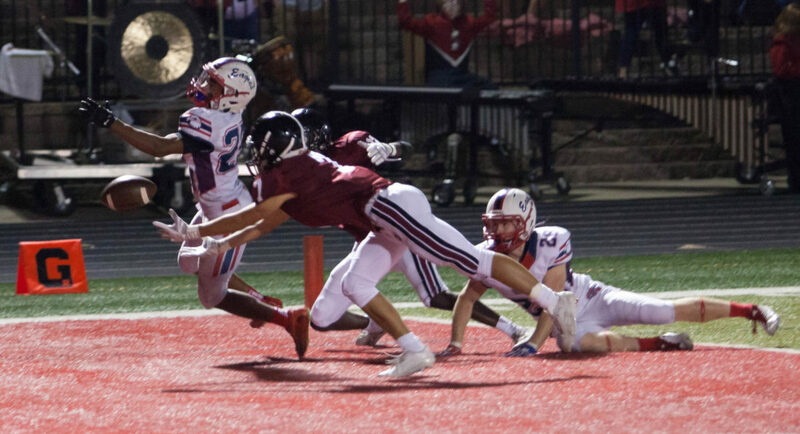 Lawrence High junior receiver Bryson Cummins (7) reaches out and catches a Hail Mary pass at the end of the second quarter in Friday's game against Olathe North at LHS. 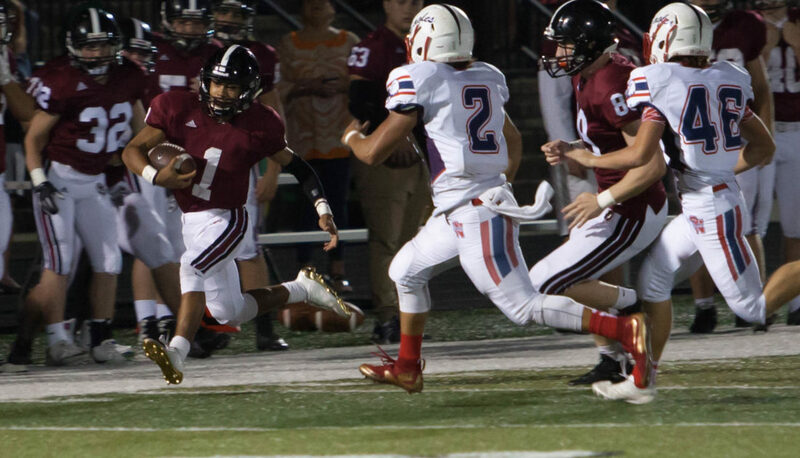 Lawrence High senior quarterback Dante Jackson tries to run away from Olathe North defender Dayton Jackson (2) late in the second half of Friday's game at LHS. 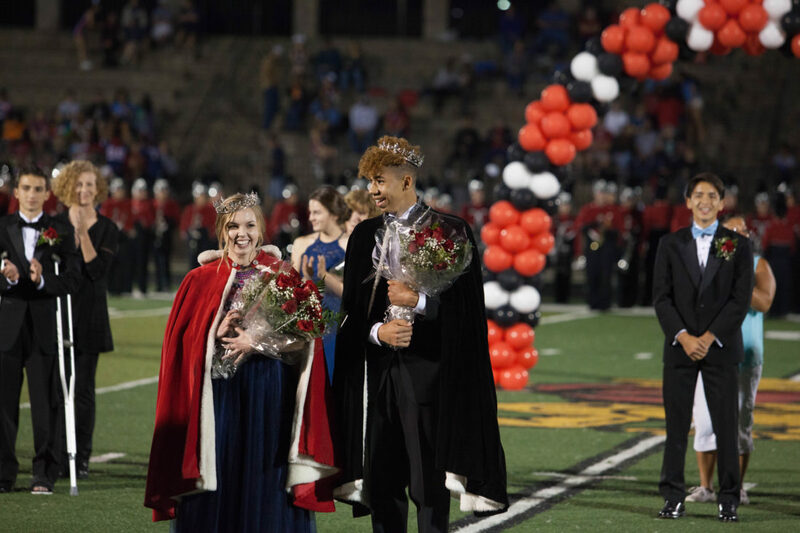 Lawrence High seniors Laurel Bird, left, and Rollin Love were crowned as homecoming royalty during the school's homecoming game on Friday, Sept. 29, 2017.